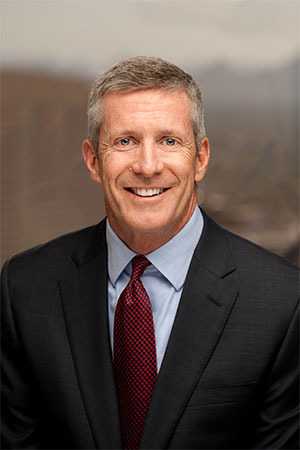 Jones, Skelton & Hochuli Partner Stephen Bullington Elected into the American Board of Trial Advocates | Jones, Skelton & Hochuli, P.L.C. Jones, Skelton & Hochuli, PLC is pleased to announce that Stephen Bullington has been elected into the American Board of Trial Advocates (ABOTA). He is the tenth JSH attorney to earn this distinction, and joins colleagues James Curran, James Evans, William Holm, John Masterson, Donald Myles, Russell Skelton, Phillip Stanfield, Georgia Staton and Mark Zukowski. Throughout his 29-year career, Steve has tried more than 20 cases before a jury. He dedicates his practice to representing medical service providers in matters involving allegations of medical malpractice and various other areas of health care law. Steve is also a member of the American College of Trial Lawyers (ACTL) and has earned an AV Preeminent Rating from Martindale-Hubbell. ABOTA is a national association of experienced trial lawyers and judges. ABOTA and its members are dedicated to the preservation and promotion of the civil jury trial right provided by the Seventh Amendment to our United States Constitution. Membership is by invitation only to trial attorneys who have demonstrated excellent trial skills while maintaining the highest levels of professionalism, integrity, honor, and courtesy.